ESL, the world’s largest esports company, and Intel today announced the tenth season of the longest running global esports tournament series, the Intel Extreme Masters. The elite pro gaming tour is set to bring together professional computer game players in Counter-Strike: Global Offensive, StarCraft® II, and League of Legends for several events across three different continents. This year’s Intel Extreme Masters will also feature Blizzard Entertainment’s StarCraft II, returning for the sixth year. Blizzard’s games have been a part of the Intel Extreme Masters tournament series for all 10 seasons, beginning with Warcraft® III competition during the inaugural season. 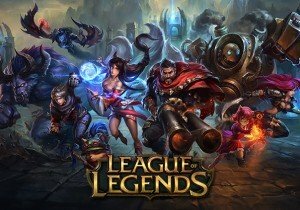 The MOBA from publisher and developer Riot Games, League of Legends, will also feature in season ten of the elite pro gaming tour. A vital component of the action since its debut in August 2011, the game celebrates its fifth year as part of the Intel Extreme Masters. All of the stops in the tenth Intel Extreme Masters season will take place in familiar territories. The season will open in China for the third consecutive year at the Shenzhen Cartoon Animation Festival (July 16-20). Following that, the IEM will come back to Cologne’s gamescom in Cologne (August 5-9) for the third IEM event ever at the world’s largest gaming show. November will mark the return to the SAP Center in San Jose (November 21-22), the venue of the most successful ever IEM event in North America. The event will be the eighth IEM event in the US since the tour began in 2006. San Jose will be followed by an event at the ESL Arena inside the ESL studios in Cologne (December 2015). The last two events of the season will take place in 2016. One of them will be held at the still to be announced IEM stop in South East Asia. The final event will be the Intel Extreme Masters World Championship in Katowice, Poland. This will be IEM’s third World Championship and a fourth event overall in Katowice. The 2015 event was the world’s most-watched esports event of all time on Twitch. The final of the tenth season will be expanded even further to be ESL’s largest event in history. For more information, please visit www.intelextrememasters.com or www.eslgaming.com. Envision Entertainment GmbH today announced that they took over operations of Command & Conquer: Tiberium Alliances. I give Wizard101 a 'good' because it is so original and well crafted that any gamer looking for something new should give it a try.